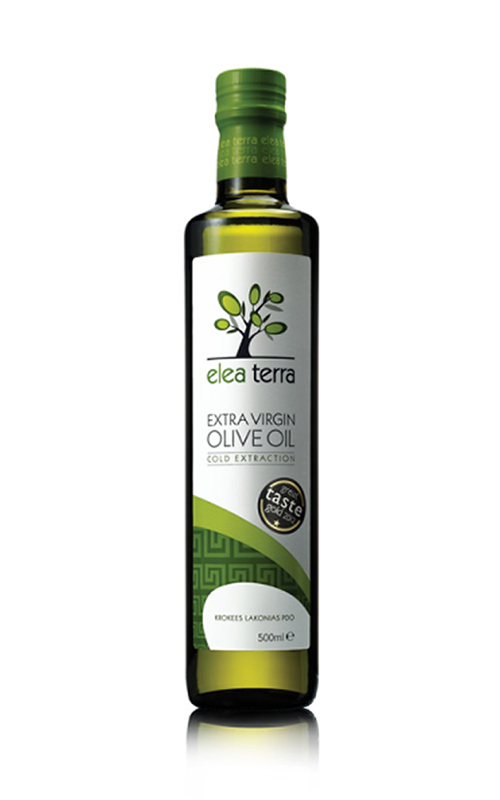 Elea Terra, the Protected Designation of Origin (PDO) Krokees Laconias extra-virgin olive oil, is produced by the cooperative of the Laconian town of Krokees, located at the foot of Mount Taygetus. This exquisite olive oil has a pungent flavour of medium intensity. In its irresistible aroma, one can detect touches of green leaves along with vivid notes of citrus. Its acidity is particularly low while it is also rich in vitamin E.